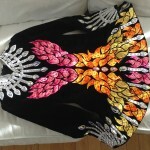 This is a Beautiful Gavin dress with stunning stage presence in excellent condition. 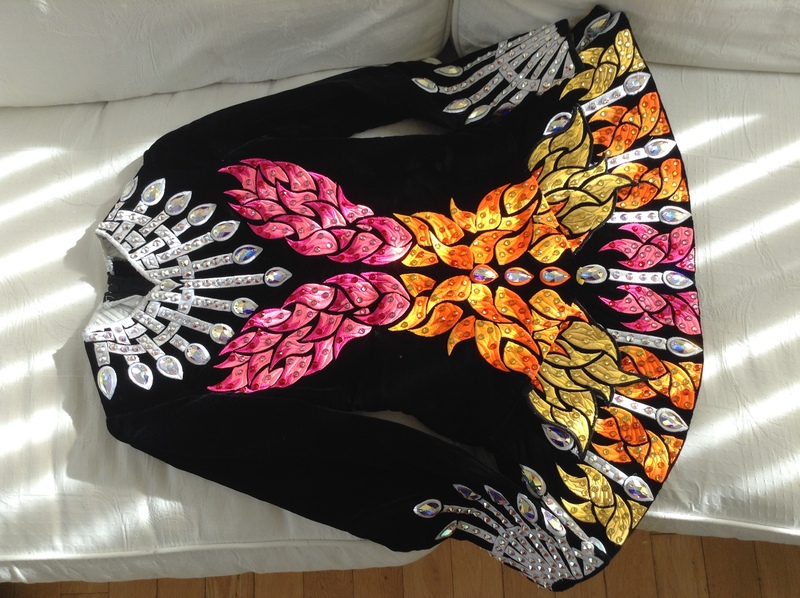 It has a black velvet bodice and sleeves and orange, pink, white, and gold embroidery adorned with Swarovski stones. This dress fits 13 – 14 years old. There’s a space to let down. Asking Price: £950.00 (sterling). Shipping costs are included in the asking price for worldwide shipping. Sale is final.